Eyes are windows of the soul: a phrase that reflects what we feel when our gaze plunges into another. However, saggy eyelids and dark circles can make you have a resting face which looks tired, angry and also gives you the appearance of looking older than your age. 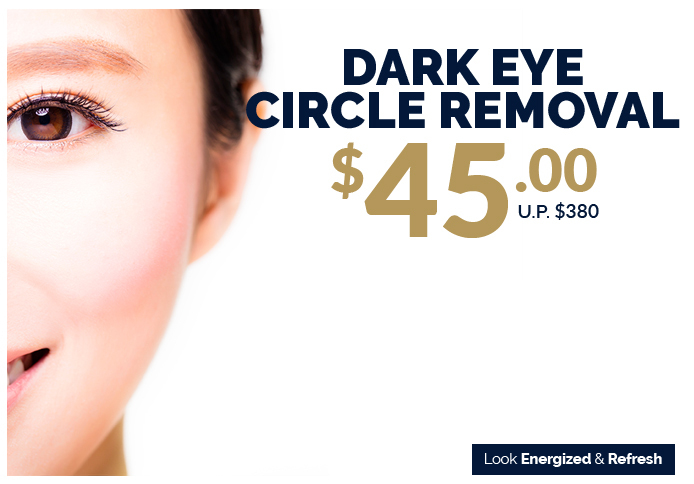 With the thinnest and most sensitive skin of your body, the area around your eyes requires a little extra TLC. Save yourself trawling through the myriad different options with the instant eye lift treatment. This contributes to the formation of dark eye circles, wrinkles, creases and fine lines which becomes more noticeable with aggravated facial expressions. A high-performance proprietary blend of neuropeptide and powerful age-defying ingredients which acts like a combination of Botulinum Toxin and laser is delivered to the skin around the eyes. This immediately erases existing dark eye circles, wrinkles, creases and fine lines and prevents them from forming, taking 10 years off your age.